We are manufacturer and exporter of Trailor Suspension Parts such as hanger/shackle/brackets, jessor bracket, king pins series, torque arm adjustable, torque arm fix etc. 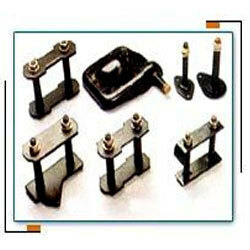 With our expertise in this domain, we are able to offer a superior quality range of Hanger/Shackle/Brackets. 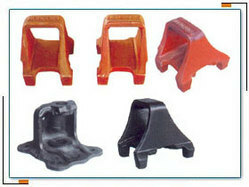 This range is developed by making use of high-grade raw material, which is procured from reliable vendors. 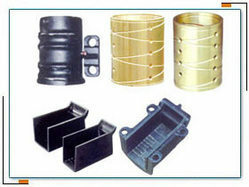 In addition to this, we offer these trailer suspension parts, in accordance with the varied requirement of clients. Also, we offer these products for prestigious brands like Mercedes, Volvo, Scania, Toyota, Hino and Nissan. We are having our own registered Brand as SUREX. Keeping in SYNC with the times, we also offer Jessor Bracket, which are designed by our proficient engineers, in compliance with the set industry standards and guidelines. These products are offered in different specifications such as of 12 ton to 16 ton axles , as per the demands of customers. Also, we offer this range at industry leading prices. We are counted among one of the leading manufacturers and exporter of a wide array of King Pins Series. 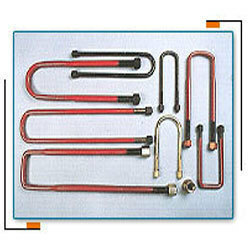 This range is offered at industrial leading prices. In addition to this, our dexterous professional ensure to design this range by making use of advanced machinery and latest technology, to make sure that a defect-free range is conveyed to customers. In order to fulfill the ever changing demands of our clients, we have been engaged in offering a quality range of Leaf Spring Shackle Assembly. 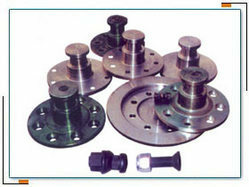 These products are widely used in automotive sector and other allied industries. SG iron, quality steel and other raw material are used by our team members to manufacture these products at par with the international quality standards. With the help of our distinguished professionals, we have been able to bring forth U-Bolts. These bolts are manufactured in compliance with the requirements and specifications of our valued customers. Known for their maintained quality standards, technically perfection and competent price, these bolts are highly appreciated and demanded by the clients across the national and international market.